Want to extend the lifespan of your freshly coloured locks? 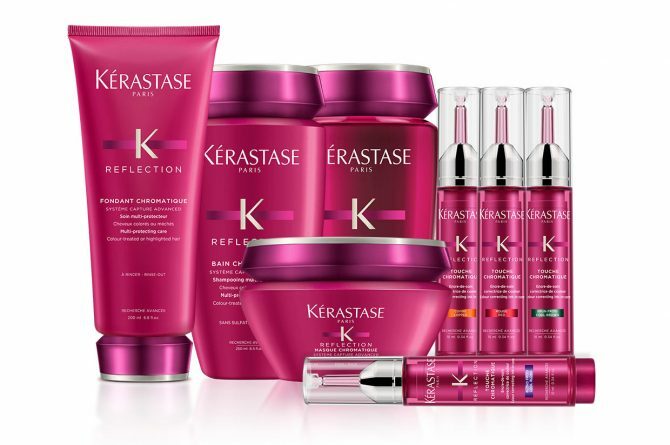 Make a beeline for the Kérastase Reflection range, which comes with tailored and easy-to-follow rituals (from $121) specifically designed to cleanse, treat and prolong the beauty of colored hair. The Touche Chromatique step, which comes with blonde, brown, red or copper pigments, helps to neutralise unwanted hues from the hair — for instance, preventing blonde hair from turning brassy.